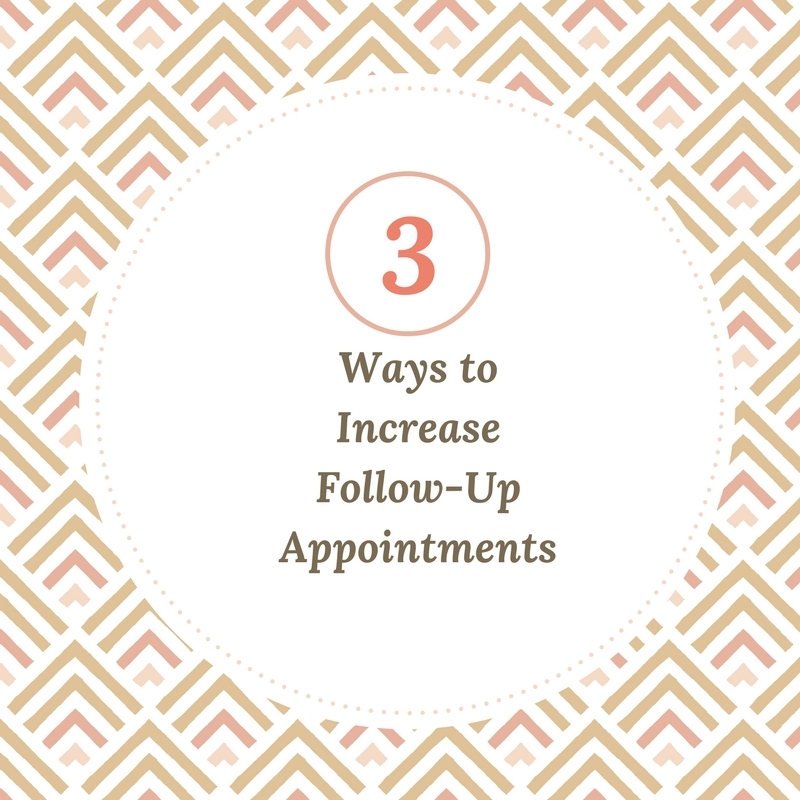 3 Ways Dietitians Can Increase Follow-Up Appointments – The Official Kalix Blog. Today, it is common practice for providers to schedule a follow-up appointment before the client has even left the office. But that doesn’t stop the no-call, no-show clients who wreck your calendar and make rescheduling a hassle. So how do you put a stop to this lack of follow through? While this may seem obvious to most, follow-up appointments are often lost in the wealth of information provided to the client during appointments. In addition to ensuring the client knows what to expect from their next appointment, think about also creating email follow-up sequences as well. For example, practice management and electronic health records such as Kalix gives the ability to securely contact clients at any time via its ad hoc messaging functionality. Cater to your clients by giving them information about their follow-up appointments using their preferred contact method. Text messages, emails, and phone calls are all great ways to reach out. Make sure you’re using a HIPAA secure program for your messaging to ensure confidentiality! Kalix’s automated appointment reminder functionality will remind your clients of their upcoming appointments with zero effort from you. For many different reasons, people need to reschedule their appointments. By having a 24/7 calendar available online, clients can reschedule at their own convenience, at any time of the day or night. This makes scheduling uncomplicated and less time consuming for you. Kalix’s Online Scheduling feature allows you to add a widget to your practice’s website so that you can accept bookings 24/7. All bookings will sync with your Kalix appointment calendar. There are many different ways to ensure that client follow-up with their healthcare providers. While there are many free software programs which can accomplish these tasks, they often add steps to your process and are not HIPAA Compliant. When looking for innovative solutions, be sure to seek a practice management system that will simplify your scheduling and revolutionize the way you conduct business.